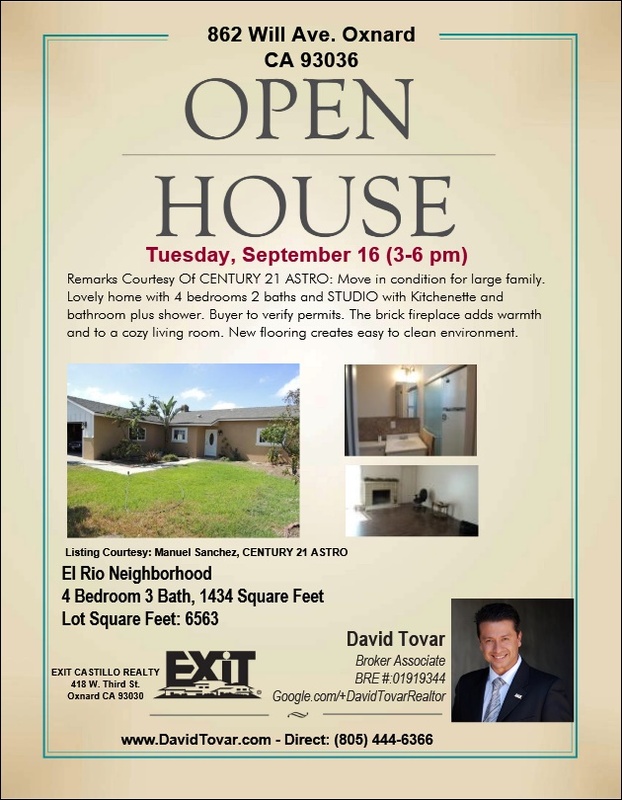 Another successful Open House on Tuesday, September 16, 2014 at 862 Will Ave. Oxnard CA Home for Sale in the community of El Rio. It was a nice and warm day with a great turnout. An offer was produced and is pending the seller's approval. Most of the people stopping to see the property were on their way home from work. It's always a great day for an Open House. Remarks and Listing Courtesy of CENTURY 21 ASTRO: Move in condition for large family. Lovely home with 4 bedrooms 2 baths and STUDIO with Kitchenette and bathroom plus shower. Buyer to verify permits. The brick fireplace adds warmth and to a cozy living room. New flooring creates easy to clean environment. This home includes a 2 car garage plus added storage area. There is public sewer connections and no cesspool. The home has fresh interior and exterior paint. Must see to believe. Hurry! at this price the home will not last long. 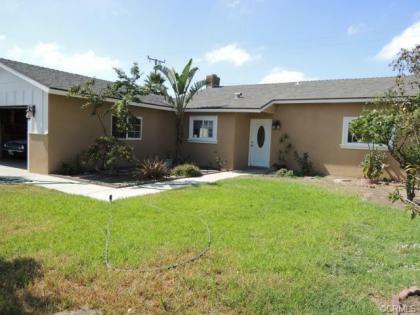 This property is located in the El Rio Community near schools, markets, and access to the US 101 Freeway. Just a few blocks away are Rio Plaza Elementary School and Child Development Resources. A new Vallarta Supermarket opened for Business recently and is located only a few blocks away. The Vallarta Supermarkets offer great authentic items for Mexican cuisine. Additionally, the community offers a unique rural feel with wide streets and homes on larger lots, as well as horse properties- Urban comfort with rural tranquility. If you or anyone you know needs the Marketing Impact of an Open House, please feel free to contact me for a Free Consultation. 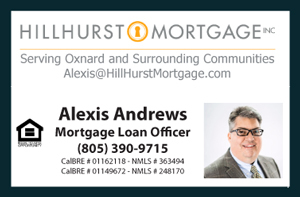 You may call or text my Direct line at (805) 444-6366.